Use the online tool to search for a rater in your county. 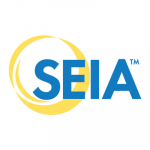 This Florida Solar Energy Industries Association site provides resources for consumers going solar. Check out their Consumer Guide to Solar Power (English and Spanish editions), Guide to Valuing Residential Solar Energy Systems, Residential Guide to Community Solar, and Residential Disclosure Forms. Links to Florida Department of Revenue’s tax exemption form for solar equipment, which also includes a list of tax exempt solar items. DSIRE: A database of state incentives for renewables and efficiencies. Find out the energy, cost and environmental savings potential of Fla. solar hot water systems. Dedicated to protecting and promoting the solar industry in Florida. Determine the value of a new or existing photovoltaic system. Estimate the energy production and cost of energy of grid-connected photovoltaic energy systems throughout the world. A national, third party entity established solely for solar thermal products. Discover how your home’s energy efficiency measures up and what the score means. Purchase Training Courses, EnergyGauge Software, PV System Certification, PV Module Testing & Registration, or Conference Registration.